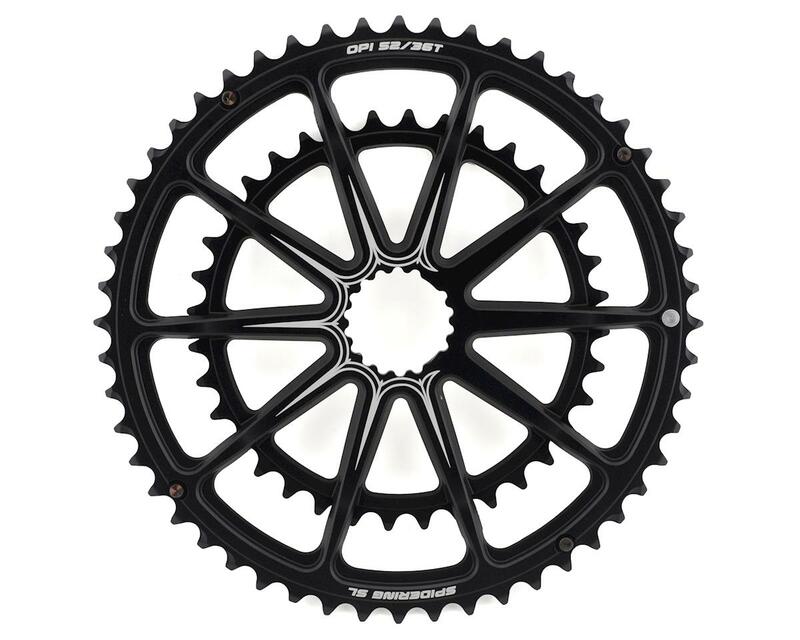 This Spidering, or spider chainring, has 10 arms radiating from the center that integrate the two chainrings. 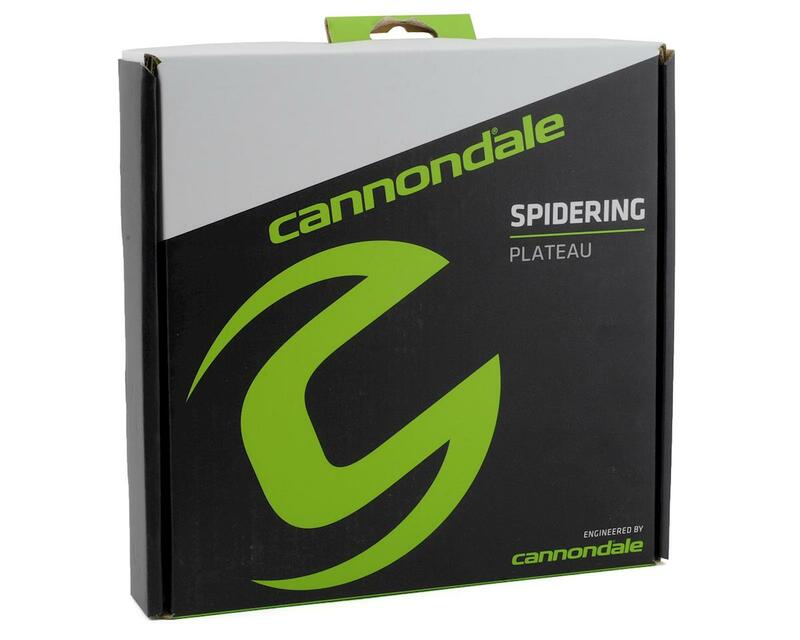 Cannondale logically calls this integration the One-Piece Integration, where the whole chainring area is a single piece of aluminum art. This integration is engineered to be lighter and stronger without sacrificing shift quality or durability. The friendly neighborhood Spidering amazes with its quality, design, and its lightness.